After a decade of silence, and a dramatic change in life, Stratosphere picked up music again. Using his experience as a sound and recording engineer, his interest in music creation returned. This time, only guitar and bass guitar were used, in combination of a wide range of pedal effects. Simplifying his working method, resulted in an number of new tracks. Due to the changes in life, a darker side is introduced, but the typical sound remains. Soundscapes and harmonics are still the base of his music. So a new era has started for Stratosphere returning to the music scene with a fresh view and renewed motivation. 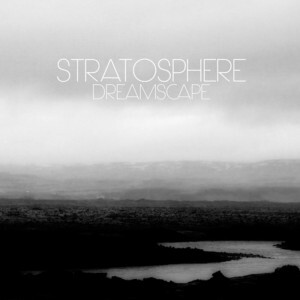 Dreamscape is Stratosphere’s first album with his new creative way of composing music. With solely the use of guitar, bass guitar and a lot guitar FX pedals, Stratosphere changes the sound of his music, but the true sense remains. An ambient flow of harmonics with a touch of post-rock influences is from now his new musical direction. Dreamscape is a reflection of his personal experiences in life, which were quite dramatic at that time. Therefore a darker tone is the overall theme of this album.